Katsuo Dashi is kind of Japanese soup stock made from katsuobushi (dried bonito flakes). Put water in a deep pot and heat on medium heat. 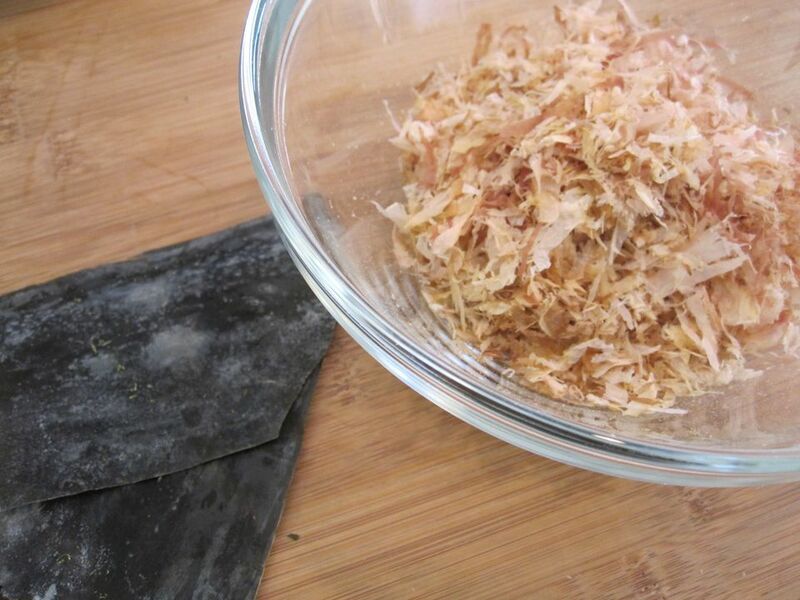 Just before the water boils, add katsuobushi flakes. When the water boils, skim off any foam that rise to the surface. Let it set until katsuobushi flakes sink. Place a paper towel in a colander and strain the stock through it.